If you think they were going to downscale Iron Man after The Avengers than you were wrong! 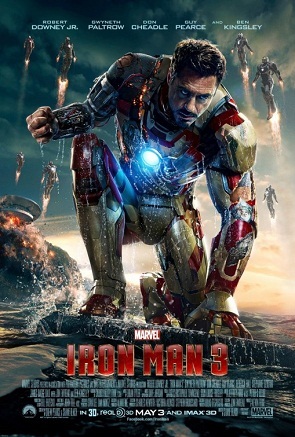 Iron Man 3 is here and it blew away all expectations! Tony Stark is experiencing post-traumatic stress order after “New York”, which refers to the alien invasion that occurred in The Avengers. His ways of dealing with this stress takes a toll on his relationship with his girlfriend, Pepper Potts. After his home is destroyed by a huge threat, he sets out to get revenge on those responsible and to protect America from the Mandarin terrorist group that has blown up a series of bombs on American soil. The beginning was slow. Real slow. We go through a flashback to 1999 to introduce a couple of characters. Maya Hansen, one of Stark’s one-night stands, is a scientist who invented the Extremis, which is a treatment that can regenerate crippling injuries. Aldrich Killian, a disabled scientist, wanted Stark and Hanson in his company, but Stark rejected the offer and humiliated him in the process. Even after this flashback, the story continues to be a slow starter. Once the action starts, it doesn’t stop. The jokes don’t stop, and I think this has the funniest dialogue of any Marvel film adaptation. This film is over two hours long, and I just did not want it to end. The plot may feel overwrought at times, but it’s not too difficult to follow. Action movies have the ability to make you think in your head “Oh my God, this is just so awesome”. I thought that multiple times, because these action sequences did not let up. Tony Stark did not stop being Tony Stark, which is great because Robert Downey Jr does a fantastic job with the character. I remember loving Iron Man 1 and The Avengers, but I also remember not liking Iron Man 2 for reasons I can’t recall…I will remember how good Iron Man 3 is for a very long time. It’s not all perfect; I picked up a few flaws, but almost everything else I overwhelmingly view positively. Downey Jr once again plays a great starring role as the one and only Iron Man. The film starts off a bit slow, but once we finally get into the swing of things, we don’t look back because we simply can’t resist the awesomeness inhabiting our screen. 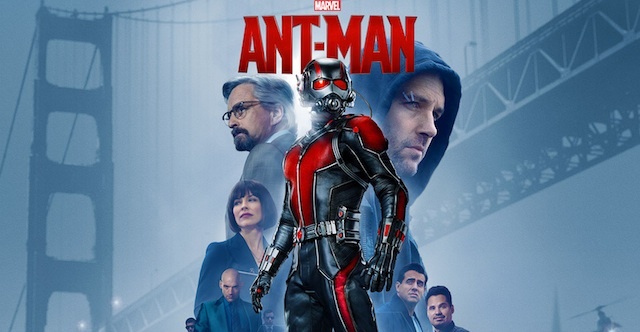 The only way I possibly couldn’t recommend this is if you have a very strange dislike for Iron Man, The Avengers or superhero movies in general. To everyone else: you should have seen it by now! I also would recommend you read my friend Pigeon’s review too, he is a film/TV university student, so he knows what he’s talking about!